A special bench of the Allahabad High Court has concluded arguments in the long pending case relating to ownership of the Ayodhya land to which Hindus and Muslims had been making rival claims over the past one and a quarter century. 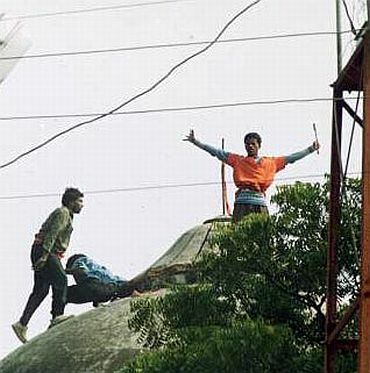 While Hindus claimed the land to be the site of the birthplace of their most revered Lord Ram, Muslims asserted their right over the same as the site of a 16th century mosque claimed to have been built by the first Mughal emperor Babur in the ancient town of Ayodhya, about 120 km from Lucknow. The three-judge special bench, comprising Justice SU Khan, Justice Sudhir Agarwal and Justice Dharamvir Sharma, on Monday evening reserved the judgment, indicating that they would announce their verdict towards the second week of September. The final arguments which started Monday morning, continued till about 7 pm on Monday. As many as 54 witnesses appeared before the court from the side of Hindus while Muslims presented 33 witnesses over the past two decades. Interestingly, the first suit was filed before a local court in Faizabad as early as on January 19, 1885, when the plaintiff, Raghubar Das sought rights over the 'Ram Chabootra' -- a raised platform in front of the Babri Mosque. 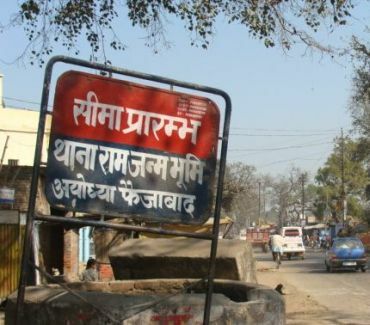 However, the dispute over the title of ownership of the main plot of land on which the mosque stood was raised before a Faizabad court in 1950. A petition in this regard came up before the Lucknow bench of Allahabad High Court way back in 1955. 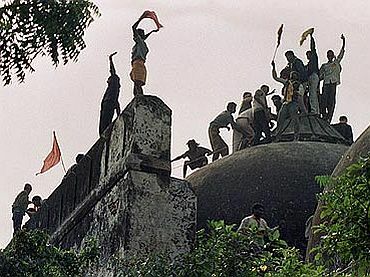 However the case was taken up in a big way only as late as on July 10, 1989, when Babri Masjid Action Committee (BMAC) convenor Zafaryab Jilani contested the then Congress Government's foundation laying of the proposed Ram temple very close to the then existing mosque. "It gives us a lot of satisfaction that this old litigation has finally come to a conclusion; we have a very strong case and I am very hopeful that our claim over the disputed land would be upheld," Jilani told rediff.com late Monday evening. "This was the third special bench to hear this case. The earlier two special benches were compelled to leave it half way as one of the judges either retired or got transferred during its pendency," he pointed out. He further hoped, "The final verdict would restore the faith of the people of this country in the judiciary."